Equipment 2 continues to explore beginner and intermediate movements on the large Pilates equipment with the predominate focus being the upper quadrant. This online clinical course introduces concepts relating to the treatment of the dancing athlete, focusing on the hips, feet and ankles. 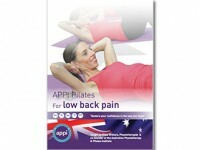 Designed for Physiotherapists, Allied Health Professionals, Pilates Instructors and Fitness Instructors. Learn from an expert in the field, Damian Raper, APA Titled Sports Physiotherapist and full-time Physiotherapist for the Geelong Cats Football club. In this online course, you will be introduced to the assessment and management of hamstring injuries. Learn to assess and treat the hip and pelvic complex. This online course covers basic level rehabilitation, to higher level functional rehabilitation. Ideal for physiotherapists and movement coaches. The APPI Pilates for Scoliosis online course is a dynamic mix of theory and practical sessions on the use of Pilates in the management of scoliosis. Unite Health is the official provider of APPI (Australian Physiotherapy & Pilates Institute) Pilates instructor training courses for physiotherapists and equivalent degree therapists throughout Australia. APPI is a world-leading provider of Physiotherapy and Pilates Treatment, Education and Products. APPI Pilates instructor training is specifically designed by physiotherapists and allied health professionals for use in the clinical and fitness Pilates setting. As of January 2019, we are delighted to be offering APPI Pilates teacher training for those with no allied health background. APPI Clinical Pilates teacher training courses are delivered in Melbourne, Sydney, Brisbane, Perth, Adelaide and Auckland, New Zealand. Our Pilates instructor courses are the ideal training choice for anybody who is working in clinical rehabilitation and wanting to broaden their scope of practice. Our most popular courses include the APPI Pilates Matwork and Equipment Pilates Certification Courses. Our Pilates instructor courses are the ideal training choice for anybody who is working in clinical rehabilitation and wanting to broaden their scope of practice. Our most popular courses include the APPI Pilates Matwork and Equipment Pilates Certification Courses. APPI Clinical Pilates Teacher Training is designed by physiotherapists for physiotherapists and equivalent degree therapists. APPI presenters are highly experienced physiotherapists certified in the APPI Pilates method. 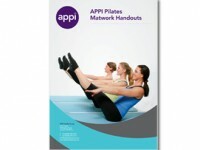 The APPI Pilates Matwork Certification Series is the essential Pilates teacher training tool for physiotherapists and allied health professionals. This training will give you the skills to deliver clinical Pilates services in a 1:1 or group setting. The APPI Pilates Equipment Certification Series is one of the worlds most comprehensive Pilates equipment training programs for physiotherapists and allied health professionals. Our equipment training provides you with fundamental knowledge to teach equipment Pilates. On each course, you will learn Pilates exercises on the reformer, cadillac, split pedal chair and barrels. Over the series, course attendees will learn over 120 movements plus variations. Are you a non-allied health professional? Our APPI Pilates Matwork & Reformer Training is a brand new Pilates Instructor qualification for all those without a health care background. Our 14-day Matwork and Reformer Pilates teacher training course will equip you with the skills, knowledge, and confidence to teach matwork and reformer Pilates in the health and fitness industry. Designed for individuals with no previous experience in Pilates, we provide comprehensive training and ongoing support as you embark on your new career as a Pilates instructor. Unite Health also delivers Therapeutic Yoga training courses in Melbourne, Sydney, Brisbane, Perth and Adelaide for health professionals. Our Yoga training is designed by physiotherapists and rehabilitation professionals. The courses are designed around the latest researches on Yoga and follow an effective, safe and practical approach. The OM People 200HR Yoga Teacher Training is a 15-day intensive course designed to provide you with a life-changing experience on your journey to becoming a qualified yoga teacher. This course is accredited by Yoga Alliance and will provide you with all the requirements to not only expand your own knowledge and practice of yoga and meditation but focuses on teaching with authenticity and confidence making this an ideal course for any dedicated student or future teacher of Yoga.. If you are new to Pilates, have back pain or simply want to polish your Pilates practice and strengthen your body, let the APPI Physiotherapists guide you through their trademark program. The extensive Pilates Matwork Handouts include clear photographs, instructions for starting positions, actions and tips. We highly recommend that all APPI course participants review these key research articles on the basic principles of segmental spinal and pelvic stabilisation prior to attending matwork level one and three. "I found myself totally immersed in the APPI method from the start. The course content is meticulously structured linking current research to each principal of Pilates to comply with evidence based best practice."